This interview features our very first CWC Making Spaces podcast - have a listen and let us know what you think! Freya Bennett loves the smell of rainforests. So she’s captured the smell in terrariums, which live all around her house. It is warm and sunny on the day I visit Freya, the co-director of Ramona magazine, at her new home in Melbourne’s north. As she gives me a tour of the house, her curious cat, Phoenix, follows us from room to room. The space is open, with polished wooden floors and crisp white walls. Freya’s favourite print, of Edward Hopper’s 1942 painting Nighthawks, sits on the floor waiting to be hung when she has a spare moment. Freya’s piano sits in the corner of the room and has been in her family for generations. It is a place where Freya can play music and relax without an end goal. As a musician, Freya has performed locally as well as produced music in collaboration with other artists. In 2013, she released The Marvellous Reject Girl, and the album’s single was played on Triple J Unearthed. When Freya speaks, she is calm with a strong sense of self, a role model to women and girls. As a speaker at last year’s Breakthrough conference, she spoke openly about growing up in a culture that commonly objectifies women and girls, and her desire to challenge it. 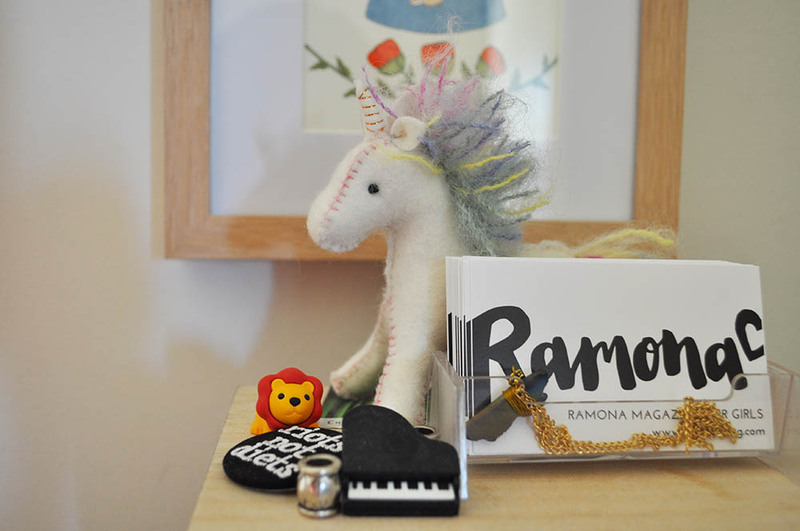 Ramona is a safe space for girls to challenge what they see, to question and express their inner worlds and dialogues through art and writing. 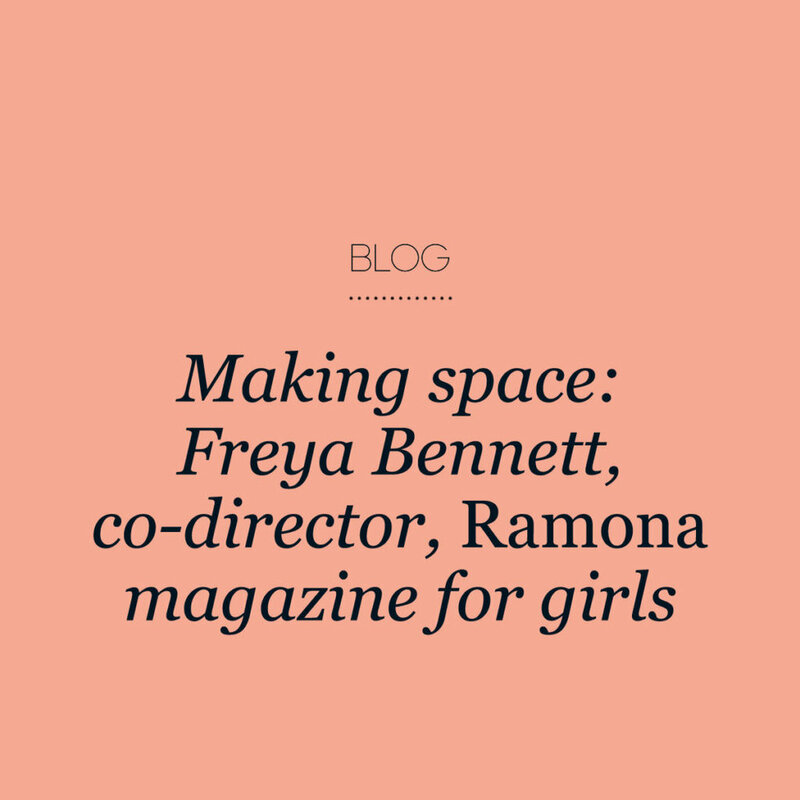 The print and online magazine has a gentle aesthetic but doesn’t shy away from difficult topics, as Freya is keen to bring to light issues that may be considered taboo. More than 500 writers from around the world contribute articles about, among other things, body image, periods, breakups, mental health, self-care, sexual assault, and miscarriage. Ramona encourages girls to develop healthy relationships with themselves, their bodies, and others. Ramona eschews sections on beauty and fashion, focusing instead on interviews with inspiring girls and women. Its focus is to create a forum where girls can see lives that are real, relatable, and achievable. Freya’s mum sounds like the kind of cool, progressive mum you see in movies. When Freya was young, her mum introduced her to New Moon magazine, opening her eyes to content with an empowering feminist perspective. Freya became aware early of the negative messaging she received because of her gender. “I had boys constantly telling me I couldn’t do things because I was a girl,” she said. New Moon encouraged her by showing her the lives of strong, intelligent girls. Turning her feelings into action was key to Freya’s motivation. She hoped that by expressing her thoughts, she could help others feel less alone. “It came from a place of ‘I need to do something, because otherwise I’m going to feel so stressed and sick and angry,’” she said. Upstairs, the house is filled with light. The study is home to two wooden desks. A large poster of Tara Presnell’s front cover illustration from the latest issue of Ramona hangs in pride of place on the wall. Freya’s paints and brushes are out on her desk with a work in progress waiting to be finished. Hanging above the desk is a painting of a sweet girl, by illustrator Jordyn McGeachin, who contributed work to volume two of the magazine. Against one wall sits a low bookshelf filled with books, photos, and artwork. Framed typography by Erandhi Mendis rests on the top shelf above a colourful floral box in which Freya keeps her treasured old copies of New Moon. Though she mostly works on her own, Freya sometimes has a friend work alongside her, which she finds helps motivate her. At other times, she takes her laptop and works in the local café. Given that her work is largely online, her job is portable. In December 2016, Ramona celebrated its second print edition with an artist market and performances from musicians Charm of Finches, Georgia Fields, and Sandy Hsu. Freya is hopeful for the future of the magazine, with plans to branch out into more projects, including mentoring to girls. Freya and Sophie currently invest their own money into the publication, but hope the magazine will grow and earn enough revenue to support itself. 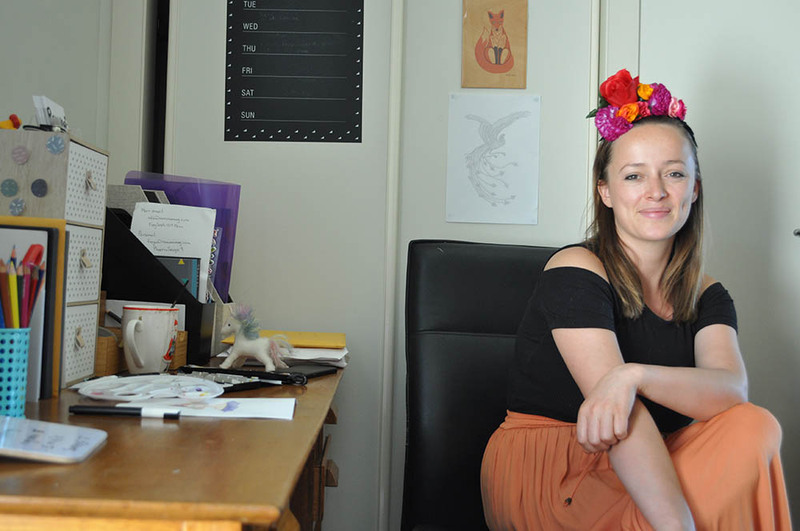 Jenni Mazaraki is an artist, designer, and writer who helps women tell their stories. She is particularly interested in the ways that women make time and space for creativity.